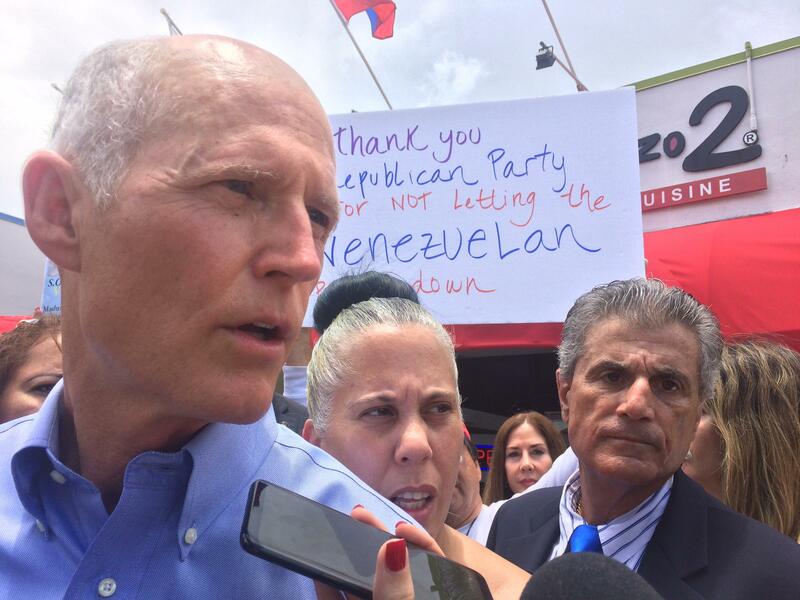 At the event, Scott reiterated his demand that President Nicolás Maduro allows free elections and release opposition leaders like Leopoldo López, who was recently moved from prison to house arrest. Also present were opposition leader Carlos Vecchio, Congresswoman Ileana Ros-Lehtinen, and Miami-Dade Mayor Carlos Giménez. 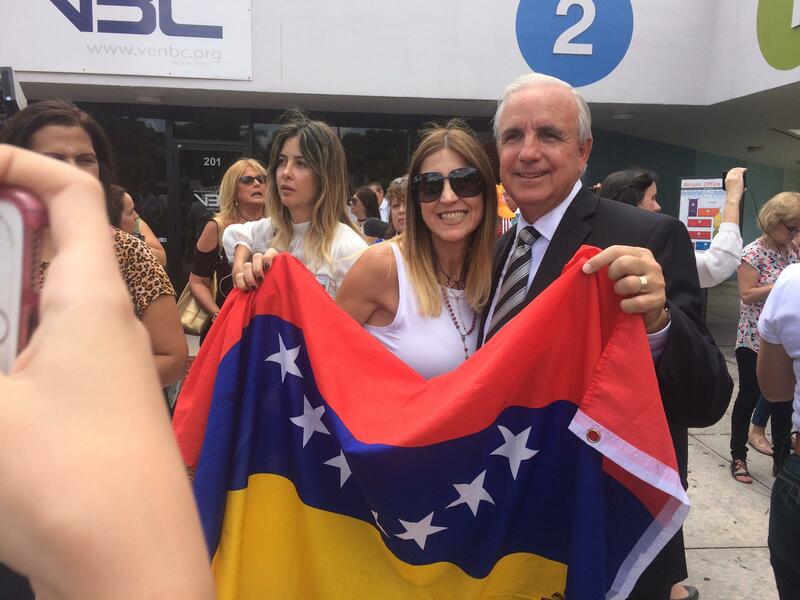 "I support this idea," said Lourdes Gimenez, a Venezuelan in favor of sanctions against companies in business with the Venezuelan regime. "Because you cannot trade with people that are not good people. And these people are not good people." 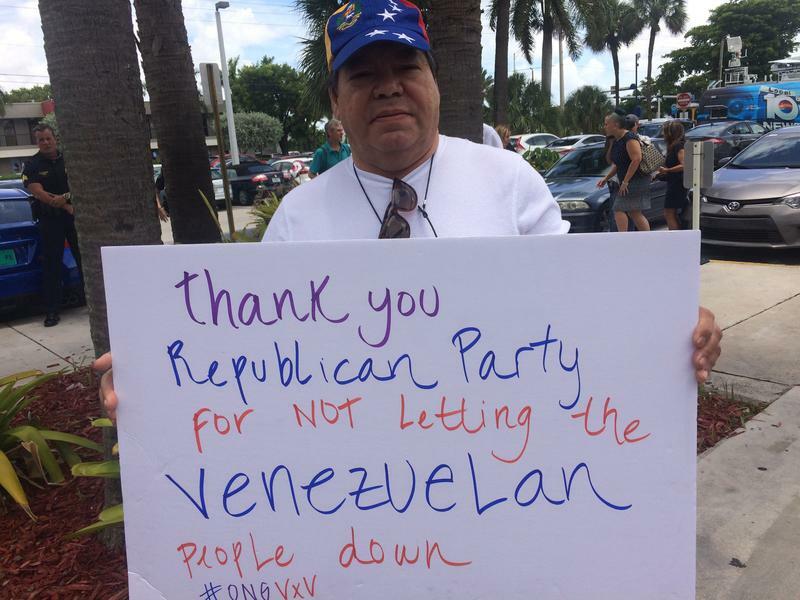 "Leopoldo López is like [Nelson] Mandela in the sense that he has been imprisoned just because he is fighting for the liberty, for the freedom, of the people," said Carlos Odremán, a Venezuelan who has lived in South Florida for two years and attended both this rally and the one last month. He sees similarities between Venezuela's struggle and South Africa's history, particularly regarding the long-term imprisonment of anti-government leaders. In a moment when many speculate that Gov. Scott might toss his hat in the ring for the 2018 Senate election, these rallies could win him supporters from Hispanic communities, according to experts. "Attacking the Maduro government is popular with Cubans, and it's popular with Venezuelans, and it's popular with Colombians," said Dario Moreno, a professor of political science at Florida International University who specializes in Latino politics. "And it's unpopular with no one." Liddora Beckwith traveled to the rally from Tampa. This wasn't her first Governor Scott event. "We go to fundraising dinners and stuff like that and if he sees me, he knows who I am because I'm always with my flag," she said. On her chest, she wore a 'Yo voté' ("I voted") sticker. "You know, waving the flag and asking and begging, 'Please don't forget us."